You can put it in a roll. You can put it in your face-hole. You can put it in some mac. Eat enough to grow big like Shaq. 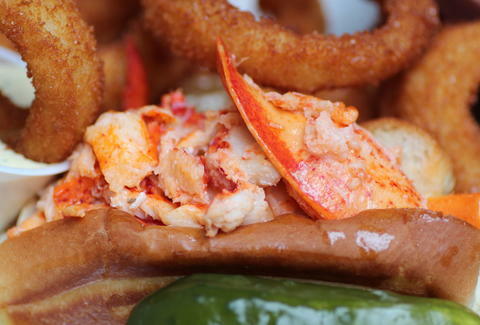 That's a story Dr Seuss started writing, about lobster, before he wrote that Hop on Pop one instead. And now this LES crustacean shack is carrying on his memory (...of lobster) in a space with a retractable roof, chalkboard menu, and delicious lobster stuffed into more things than you could ever imagine.